Jack’s Auto Service provides safe and reliable towing and roadside service to cars, trucks, SUVs, and vans. 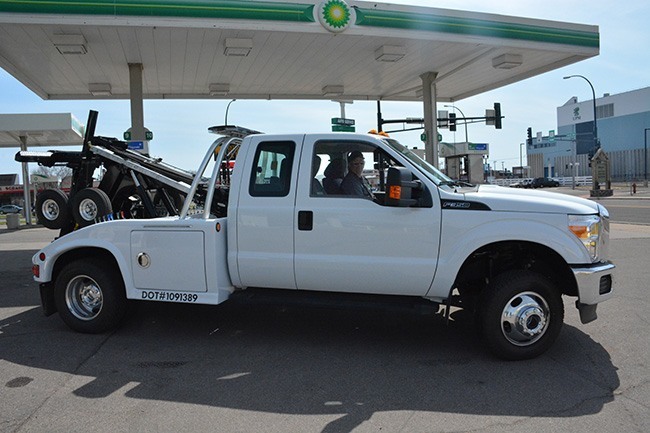 We offer tow truck service within a 40-mile radius of Grand Rapids. As a family-owned and operated business, we strive to treat everyone they way we would like to be treated. We dedicated ourselves to providing honest, fair, and thorough auto repair, including towing and roadside service. Let our ASE certified technicians get your vehicle back on the road. If your personal automobile or fleet is in need of towing, roadside service, maintenance or repair, we invite you to Jack’s Auto Service in Grand Rapids. You can trust our friendly and experienced staff to get your car, truck, minivan or SUV driving its best!